It isn’t easy being thirteen – ask Kayla Day. Our introverted lead character (Elsie Fisher) has to survive the last week of her disastrous eighth grade year before leaving to start high school. 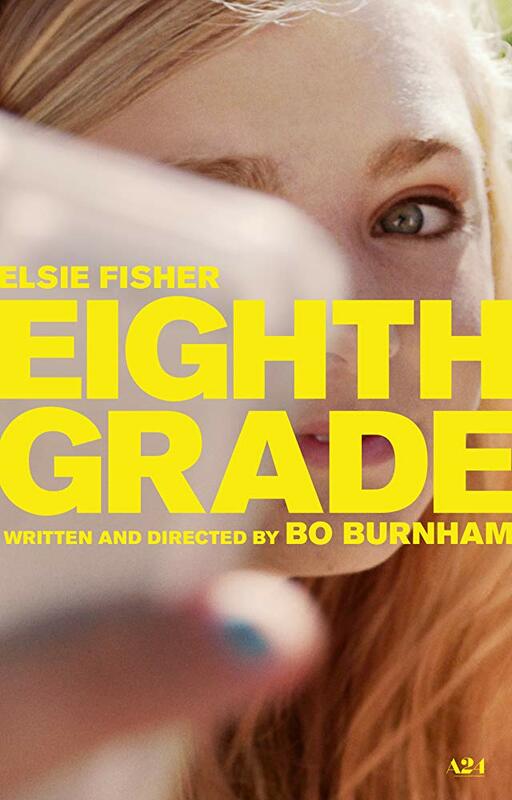 Written and directed by 27 year-old Youtube comedian Bo Burnham, Eighth Grade is told entirely from the perspective of Kayla and Burnham’s debut feature is as awkward, angsty, self-loathing and charming as its protagonist. Nothing particularly dramatic really happens as Kayla is unable to connect with the people around her in school but these little traumas come across as realistically disturbing especially from a young teen’s POV. Parts of Eighth Grade are hard to watch especially if you are coming from the jaded, world-weary view of a 50-something writer (moi!) but thanks to the subtle work of Josh Hamilton (as Kayla’s Dad), the generation gap is smoothened up nicely for all to enjoy. In any case, Eighth Grade is wonderful insight into how an American teen thinks in 2018 and its realism should certainly be lauded. Check it out!